A little known fact about our area is that we have tons of music and arts. From theater to art galleries here is a list of things to think about checking out while you’re visiting Summit Inn Bed and Breakfast. Click on the pictures/logos for more information. A brief description of each location should help you navigate through. If you have any questions don’t hesitate to ask any of the Innkeepers at the Summit Inn Bed and Breakfast. We love to hear from you! This winery not only offers free tastes but has a great venue for live music, arts and comedians! A great place to check out. Festival Theatre’s mission is to make the arts welcoming to all people as an essential part of their well being and for the vitality of the community. 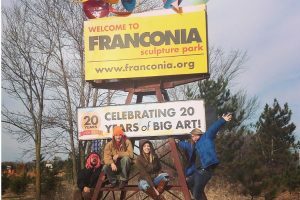 It is also the artistic and social hub for professional theatre and the arts for the extended Central St. Croix Valley and an economic anchor for St. Croix Falls and the surrounding business community. Find out what is showing now! 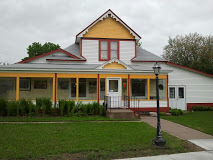 An eclectic gallery located in Osceola just 10 Miles from the Summit Inn Bed and Breakfast. St. Croix Valley Orchestra is a full chamber orchestra of about 40 volunteer musicians who come from the St Croix valley area, from Turtle Lake to Wyoming and from Grantsburg to Hugo. A collection of artists in our area including art tours and classes! Unexpected Company is a community choir that puts on quite a show. Certainly worth your time to catch a concert. The Wyoming Area Creative Arts Community (WACAC) is an alliance of Artists, Musicians, Performers, Photographers, and Writers with their own location in Wyoming MN! Find collections of original fine art, fine art crafts, and unique gifts reflecting who we are here in the North. Especially our Swedish Heritage which we are very proud of! Franconia Sculpture Park is a nonprofit arts organization operating a 43-acre outdoor sculpture park, active artist residency, and community arts programming. All exhibits are interactive and LOTS of fun!